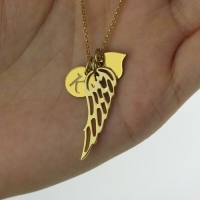 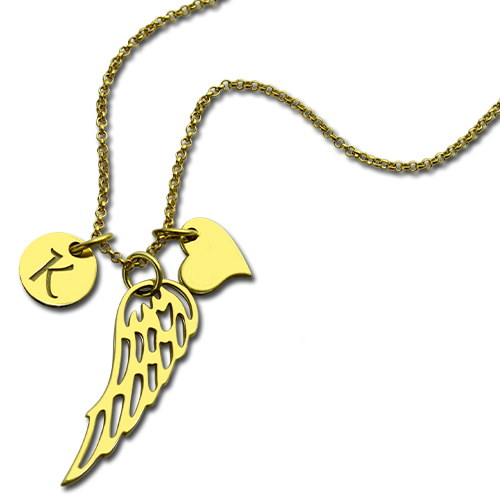 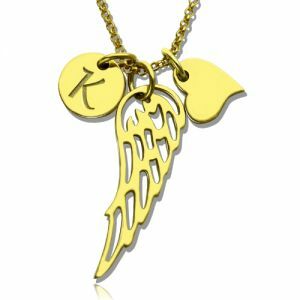 Good Luck Angel Wing Necklace with Initial Charm 18k Gold Plated - Gone yet never forgotten. Our Personalized Angel Wing Necklace is beautiful way to keep thoughts of your lost loved ones close to your heart. 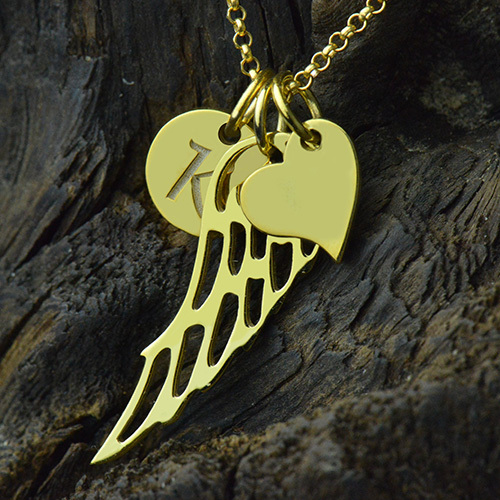 Three symbolic charms combine together to create a gorgeous personalized keepsake for remembrance and healing. 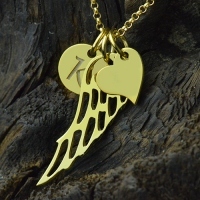 Our small round sterling silver charm can be personalized with one capital letter of your choice the other size is a beautiful tinny heart.Keep a part of a delicate angel wing close to your heart for protection and beauty.